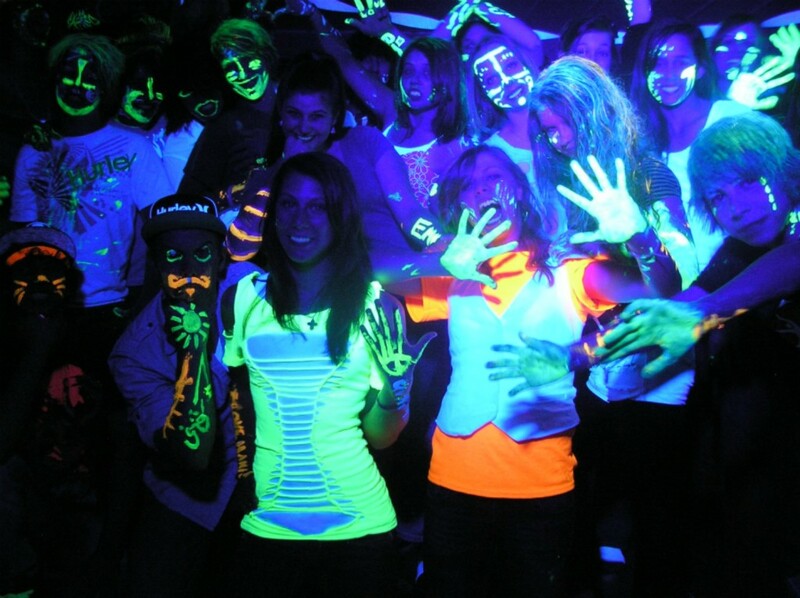 If you’re looking for a way to celebrate your party in a different light, why not try out a black light party theme? It’s super fun with games like luminescent beer pong and fun activities like painting your wall with glow in the dark paints. 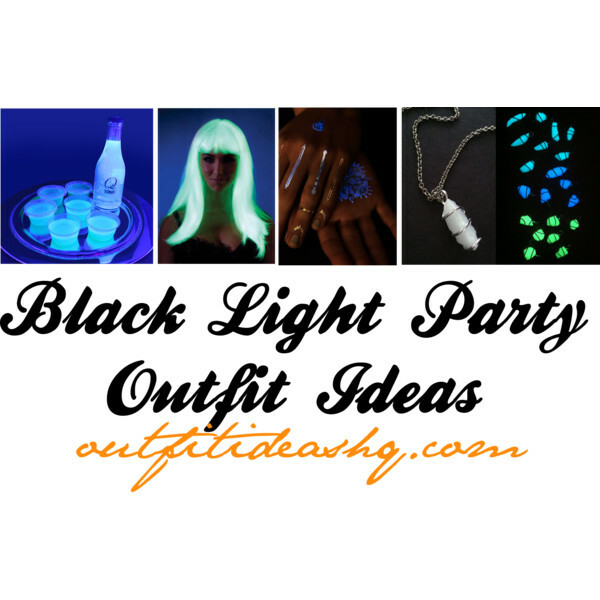 It’s the right time to get creative but have you decided or thought about what you need to wear to a black light party? 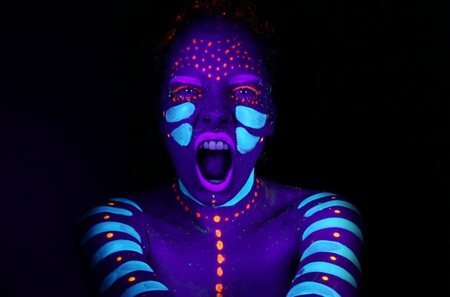 Check out our ideas on how to put together glow in the dark clothes, glowing and light up accessories, makeup, body paint and many more. 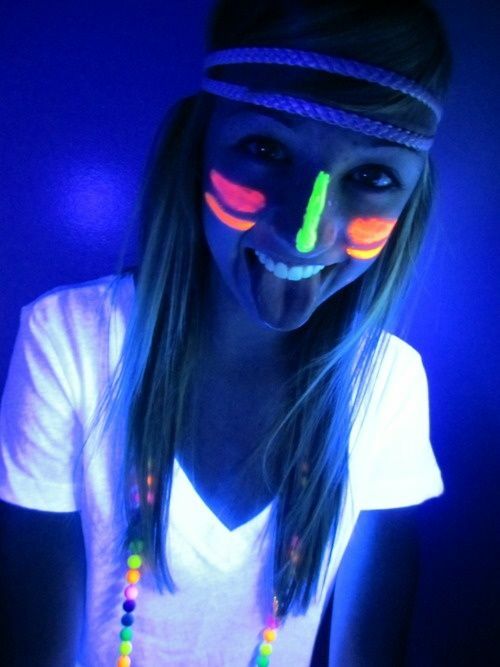 You’re going to need clothes that will show under a black light. 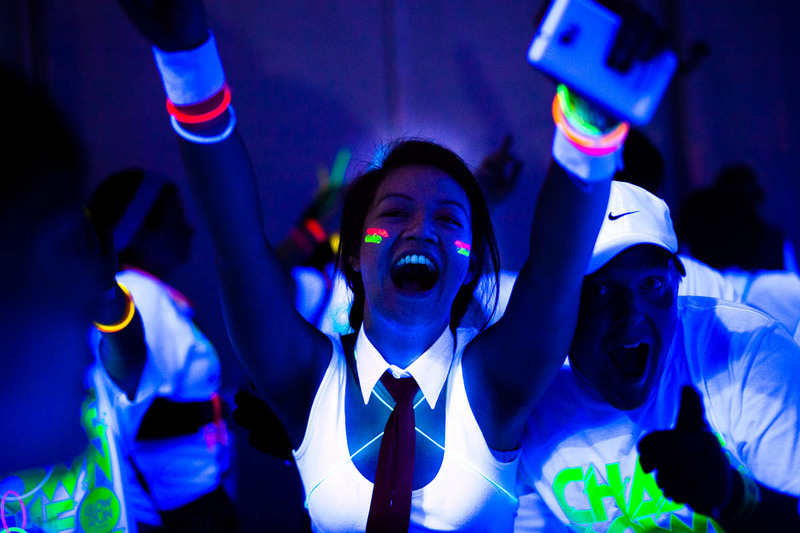 So the best choice is to wear glow-in-the-dark attire. 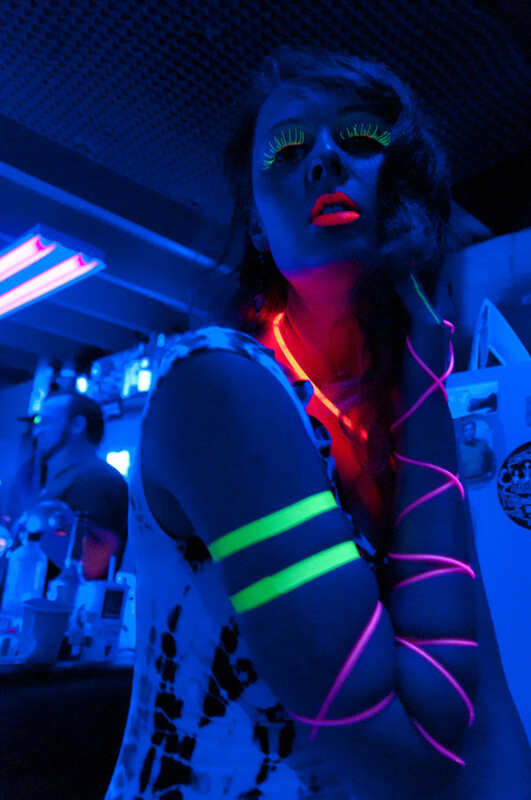 Also, neons and bright clothes will most likely glow under a bright light. You can buy a ready-to-wear glow in the dark dress/top/bottom or you can make it yourself. You’re going to need glow-in-the-dark pens or paints and maybe some stickers as well. Decorate them freely with – draw designs, write words or just drip paint splatters on your clothes. It’ll give out an 80s vibe. 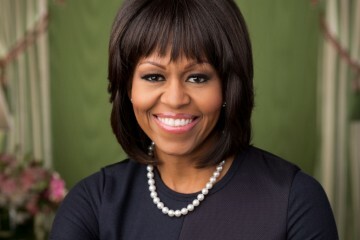 Some of the designs you could do are polka dots, peace symbols, the sun, moon, stars, hearts, flowers, statements. Have fun with it. Did you know that if you wear a recently washed clothing and didn’t add glow in the dark paints and stickers have glowing spots? That’s because there could still be detergent on there. So you better wash yours thoroughly if you don’t want to glowing spots on you. 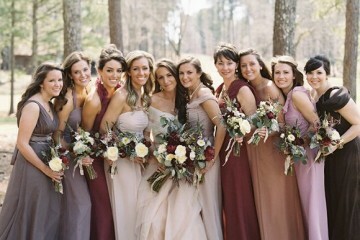 For the accessories, get glowing jewelries, earrings, necklaces, sticks and loop them in your arms, legs or neck. You might also have neon jewelry in your accessory drawer so you better wear them to the party. And if you don’t have them, just create your own jewelry. Cool accessories like LED blinking lights can be found anywhere. You can get light up bracelets, shoe laces, tee shirts, bracelets, belts, cap, there are so many. Also, there’s this thing called EL wire. It even has a strobe and blinking setting and comes in so many colors. Simple pin them on your clothes and wrap it around yourself. Fiber optic accessories like hair accessories are the common type so you got to try that out as well. 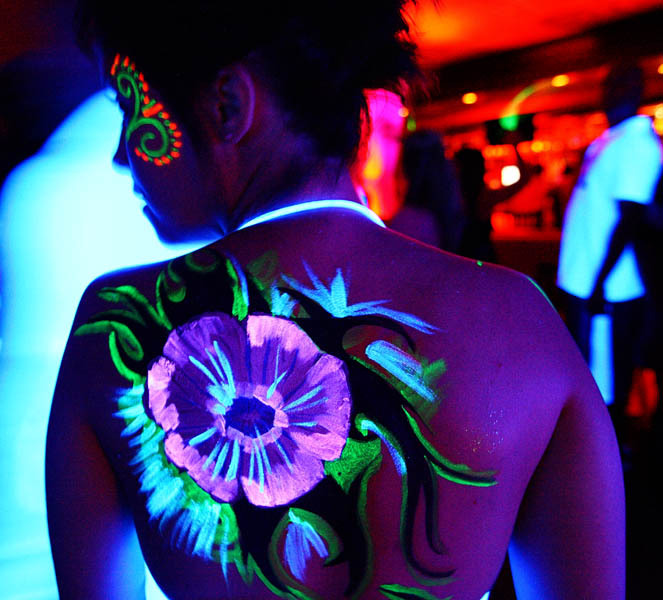 For glowing body art, you can buy them at different novelty and party stores. 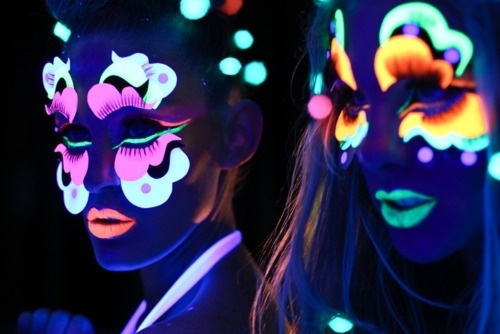 Knock yourself out with light reactive body paint, hair spray, nail polish and more. Glowing hair spray will only work if you have blonde or lighter hair.